These plush Halloween toys are the perfect size for cuddling and just the right mix of spooky and adorable so you’re sure to find one that your child will love long past October! These plush Halloween toys make wonderful gifts for children as well as grown ups who just love everything spooky! We’ve pulled together a collection of fabulous stuffies that are sure to go down a storm, with just the right mix of totally adorable and downright creepy! 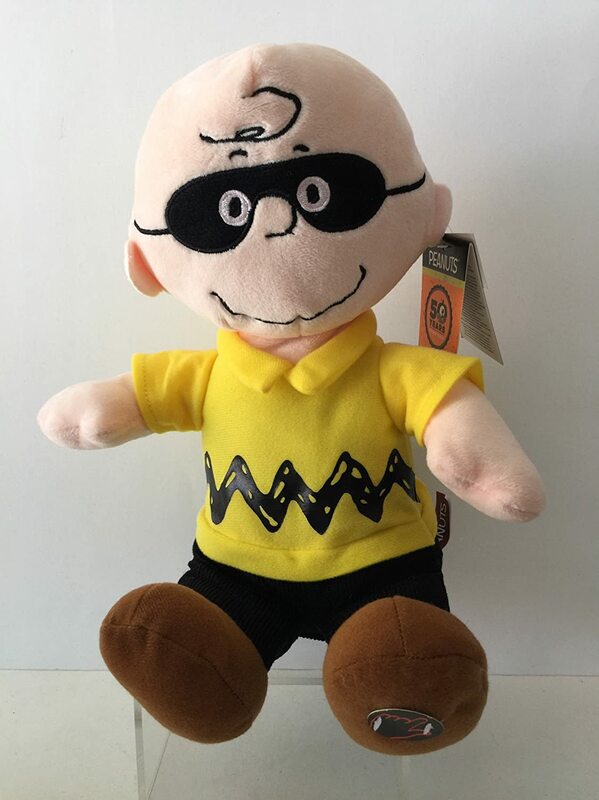 Not only is this Charlie Brown plush totally adorable in his black mask he also plays the Linus and Lucy theme song and he dances! He really is a perfect Halloween gift for a child. 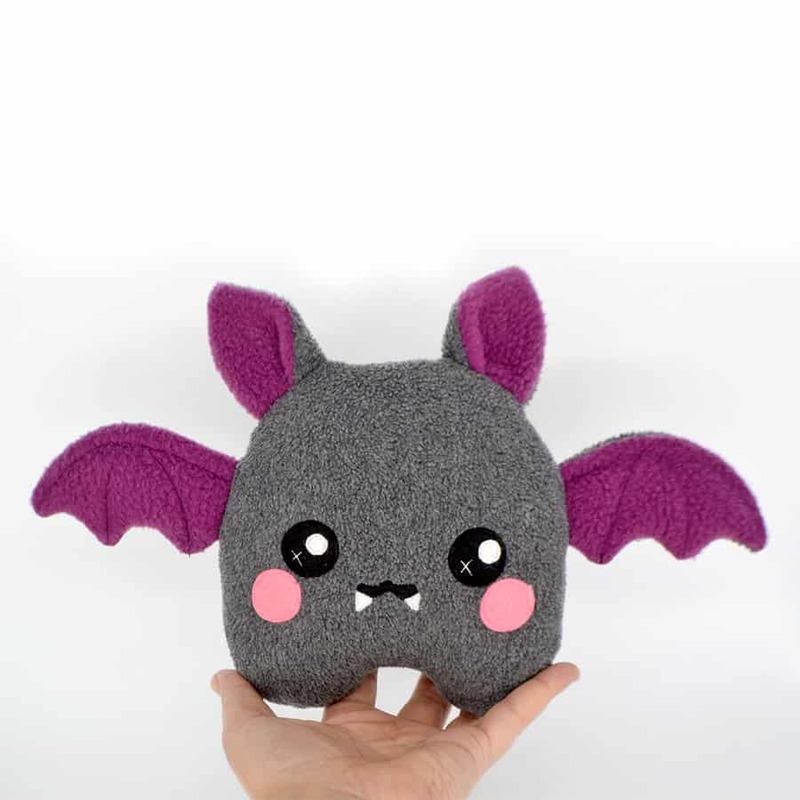 This handmade bat plushie is made of a lovely soft fleece and is totally cute and cuddly! If your child loves Kawaii style toys this will be a big hit with them as a Halloween gift. The bat is grey but you can choose from 12 different colours for the ears and wings. He’s 8 inches tall with a 13 inch wing span so he really is the perfect size for snuggling! 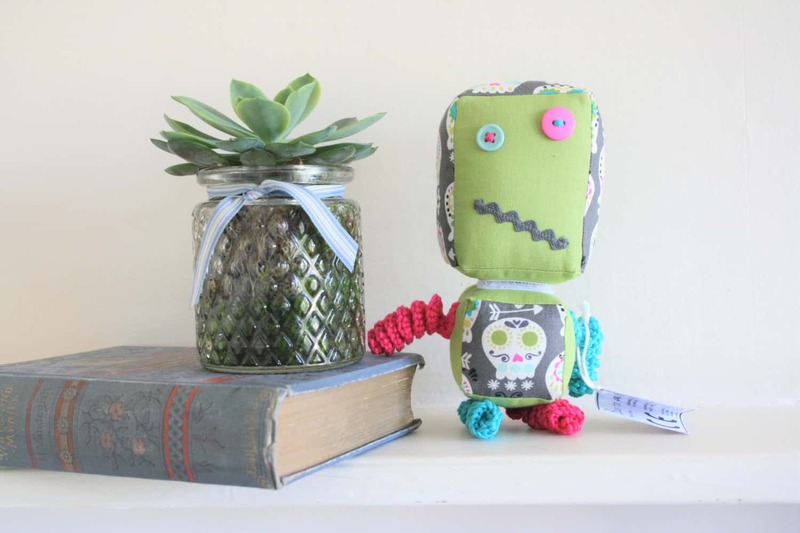 Oh my goodness these Day of the Dead robot softies are totally adorable! They’re handmade to order so each one is a little different, and they’re the perfect Halloween gifts for siblings because you can take off their heads and switch them between robots! We love those springy arms and legs which are made of crocheted yarn, and each robot has it’s own personality thanks to the facial expressions! 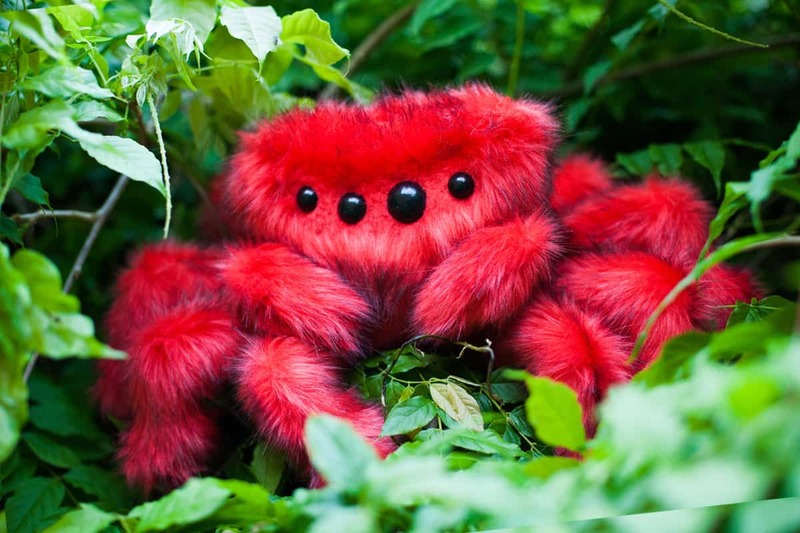 If you’re looking for a creepy spooky Halloween plush toy for your child you cannot go wrong with this bright red spider! She’s called Angry Arabella and she’s handmade using luxury faux fur. I’m not sure whether I want to stroke that soft fur or run away screaming! 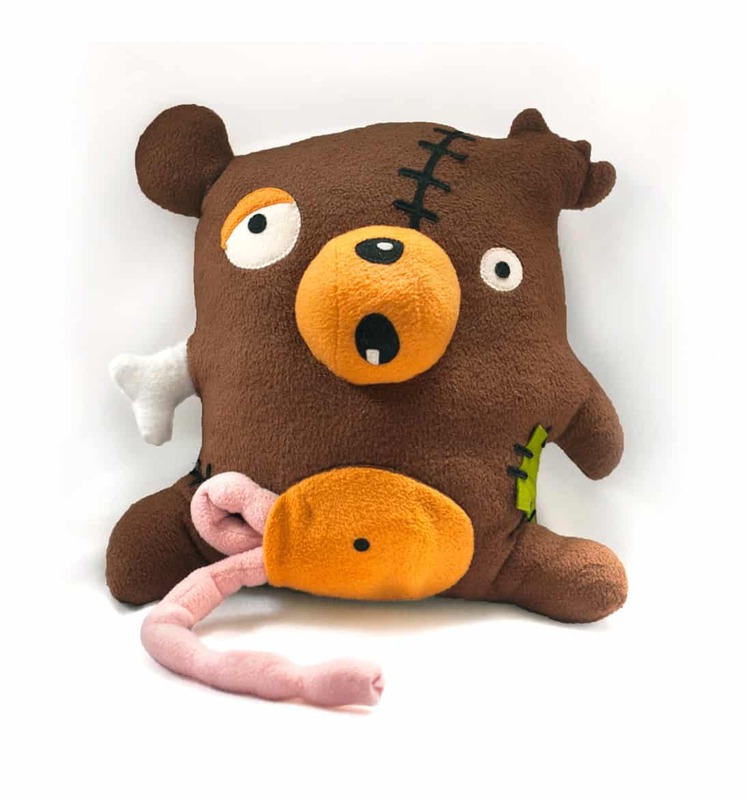 If you are looking for a Halloween soft toy that you can make for yourself check out this adorable zombie bear. He’s the perfect choice for kids who appreciate the yucky side of Halloween, because you can remove his intestines from his stomach! The bear is designed to be made up in fleece and felt but you could totally use other fabrics if you wanted to. He’s 14 inches tall so a great little Halloween buddy for your child. 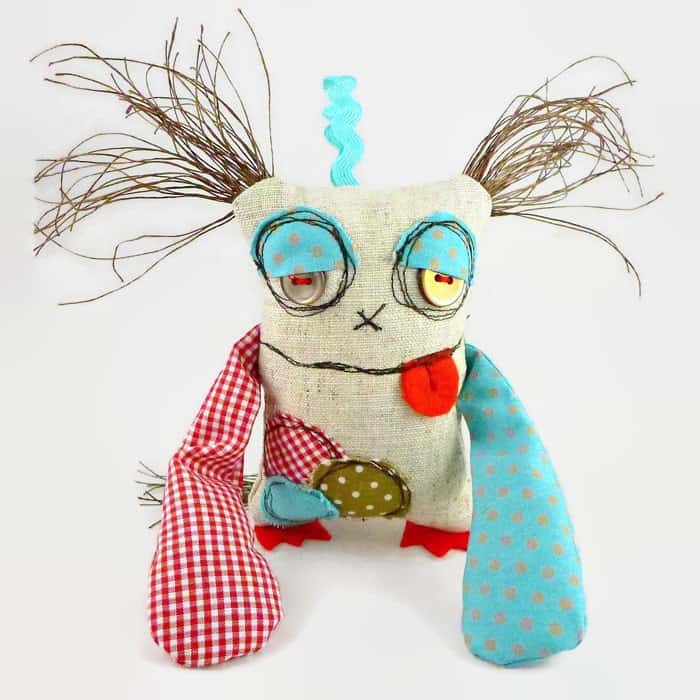 If you’re looking for a quirky monster doll then you can stop searching because you just found him! In fact why not buy one for your child as a gift and another to sit on your desk and keep you company while you work! He’s 12 inches tall and made of linen and cotton fabrics and then stuffed with non-allergenic polyester fiber. If you like you can have the name of your child (or the monster) stitched on his back! 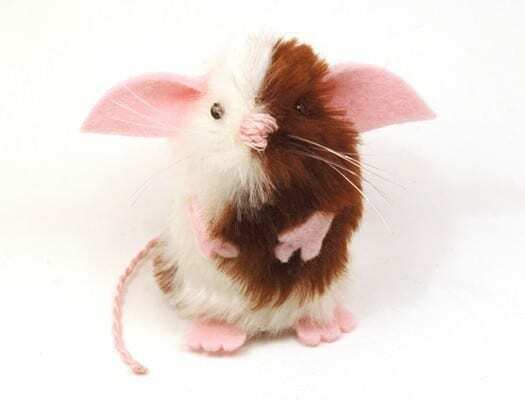 If you’re fans of the Gremlins movie then you definitely need to adopt aGizmo mouse this Halloween. He’ll always be adorably cute and fluffy as long as you follow the three simple rules: Never expose him to bright lights, never put him in water, and never feed him after midnight! 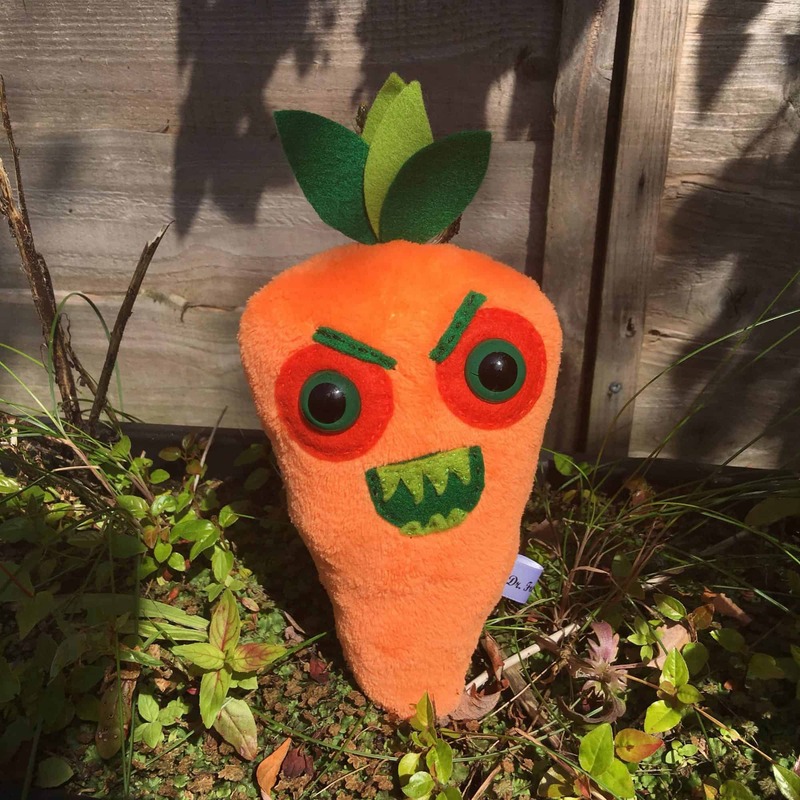 If you’re looking for a Halloween plush that’s a little different you really won’t go wrong with this bright orange killer carrot! Be careful though, you don’t want to put your kids off eating their veggies! Easy Homemade Halloween Costumes for Kids – ADORABLE!